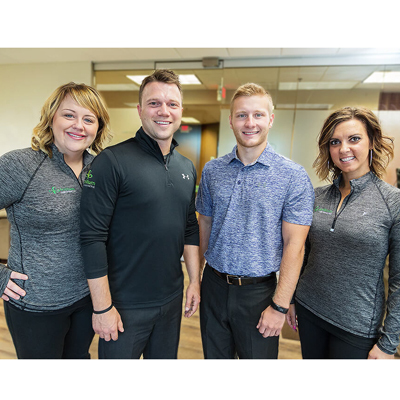 In practice since 2009, Dr. Scott Walter brings his results-driven natural healing to our community at Trillium Chiropractic. Our mission is to reduce unnecessary suffering for all ages of patients. We see families who are seeking to improve their wellness, including children. Our youngest patients can experience a great benefit from chiropractic care as we effectively address many common childhood conditions. We welcome you to boost your well-being by experiencing our natural and unique form of health care! Our team is fortunate to see the incredible effects of chiropractic every day. People are able to eliminate the need for asthma, headache and digestive medications, allowing their body to work at its fullest potential by removing subluxations. A subluxation is a misaligned vertebra that puts pressure on the spinal column. Get Checked — It’s Simple! Getting your spine checked is easy. It’s completely noninvasive and doesn’t involve any complicated testing. A simple checkup will allow Dr. Scott to understand if there are any issues present in your body that we can help with. You can even book a time for a free consultation to discover if we can do anything to increase your quality of life! Contact us today to find out what we may be able to do for you. We look forward to meeting you! X-ray facilities are located on-site.